An Austrian court has found a right-wing politician responsible for the anti-Muslim videogame Bye Bye Mosque not guilty of incitement. 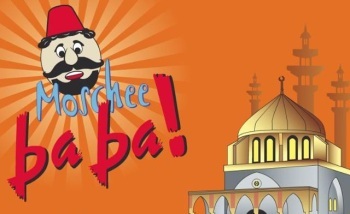 Around this time last year we told you about Moschee Baba, AKA Bye Bye Mosque, a cheesy little Flash game commissioned by Austria's far-right Freedom Party in which players prevent the erection of mosques and minarets by shooting them as they go up. It's every bit as lame as it sounds but because of the subject matter, not to mention the fact that the people who emerge from the buildings once they're up can also be shot, it attracted no small amount of controversy. It was banned by the Austrian government, which also brought charges of inciting religious hatred and defaming a religion against Freedom Party Deputy Gerhard Kurzmann and Alexander Segert, the head of the Swiss advertising company that made the game. But those charges were recently dismissed by an Austrian court. "It did not reach the threshold of incitement and I would also say this was not the intention," Judge Christoph ruled. The prosecution said it would appeal the decision but the Freedom Party hailed the ruling as a victory for itself and for opposition to the tide of mosques and minarets that is sweeping across all of Europe. "The judge has unmistakably determined that the question of whether mosque-building should be banned is being discussed all over Europe and that it is a completely legitimate debate," it said in a statement. But according to the Austrian news agency APA, less than two percent of Styria's population is Muslim and there are actually no mosques in the state with visible minarets. That doesn't seem to bother the Freedom Party much, however; Kurzmann's 2010 run at the state governor's office failed but the Freedom Party is Austria's largest national opposition party and is gaining ground in polls. The original Moschee Baba is long gone but an updated and yet somehow crappier version called Call of Muezzin: Reconquista Warfare is up at call-of-muezzin.info.